Nebuchadnezzar IIthe Babylonianthe Ishtar Gatethe temple of Marduk. 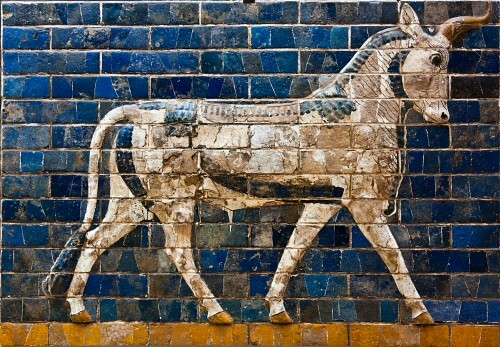 The Ishtar Gate was constructed by the Babylonian King Nebuchadnezzar II circa 575 BCE. 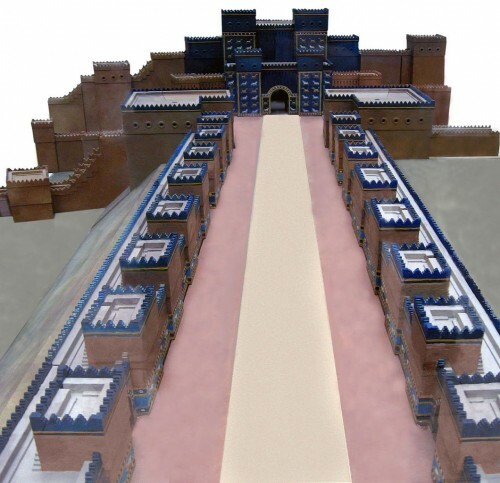 It was the eighth gate of the city of Babylon (in present day Iraq) and was the main entrance into the city. 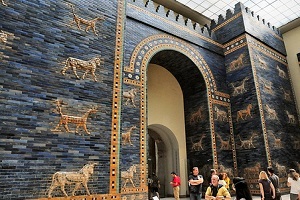 The Ishtar Gate was part of Nebuchadnezzar’s plan to beautify his empire’s capital and during the first half of the 6th century BCE, he also restored the temple of Marduk and built the renowned wonder: the Hanging Gardens as part of this plan. The magnificence of the Ishtar Gate was so well known that it made the initial list of the Seven Wonders of the Ancient World. However, it was later replaced by the Lighthouse of Alexandria, but some authors (Antipater of Sidon and Calliamchus of Cyrene) wrote that the “Gates of Ishtar” and “Walls of Babylon” should still be considered one of the wonders. Through the gatehouse is the Processional Way, which is a brick-paved corridor over half a mile long with walls over 50 feet tall (15.2 m) on each side. The walls are adorned with over 120 sculptural lions, flowers, and enameled yellow tiles. The Processional Way was used for the New Year’s celebration, through which statues of the deities would parade down and the path paved with red and yellow stones (rows of red stone on the outer layers and a yellow row in-between). 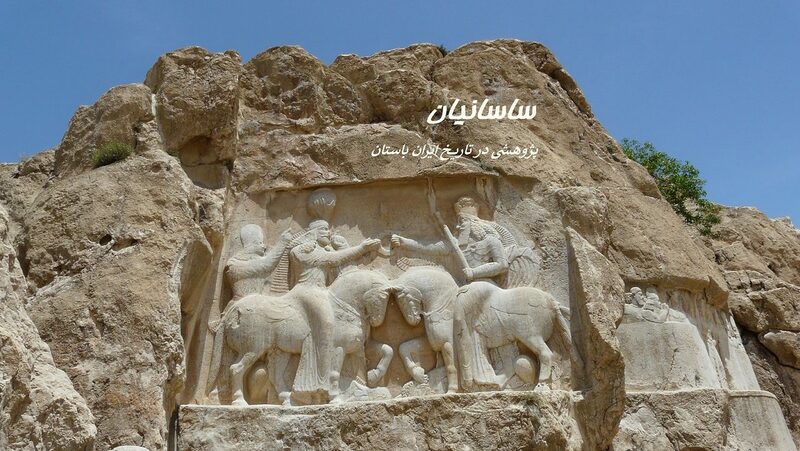 Each one of these stones has an inscription underneath: a small prayer from King Nebuchadnezzar to the chief god Marduk. It was this processional way that led to the temple of Marduk.